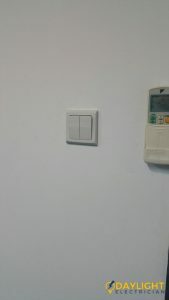 Electrical switches are the means through which you connect electrical appliances to a power supply, which is then why it remains an integral part of your home. 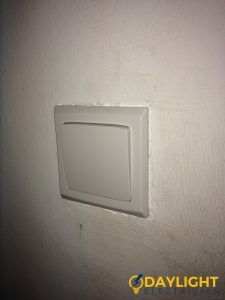 Flipping a light switch turns darkness into bright light, meanwhile using a water heater allows you to turn on water heater supply just as a general wall switch allows you to use other functions around your home. 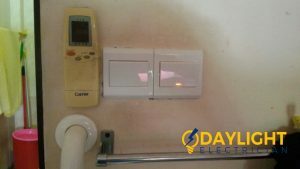 As these are activities that you carry out many times without second thought, this repeated motion will eventually lead to the switch repairs and replacement. 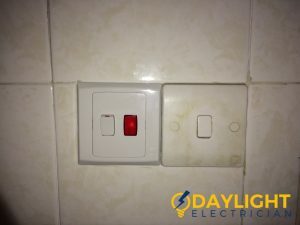 Whether you are completing a new house project or replacing worn-out electrical switches, Daylight Electrician Singapore is your best choice for all your electrical switch installation, repair, and replacement needs. 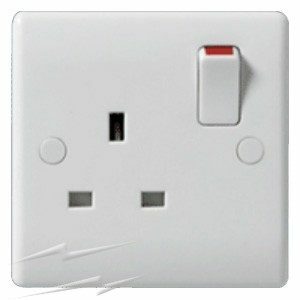 On top of that, we also offer a wide range of other electrical services. Notice your light fixture flickering at home? While most people think that it is just a temporary issue that will stop on its own, they’re usually unaware that the problem can be caused by more serious reasons. In such cases, it can be because of a loose electrical wiring or a damaged light bulb. 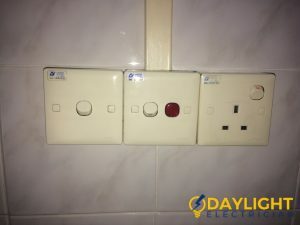 Whatever the problem is, make sure not to meddle with it on your own especially when you do not have any experience handling electrical works. With this, immediately call a licensed electrician to troubleshoot and eventually solve the problem. 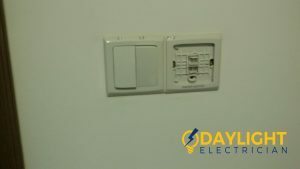 Your appliance, light fixture, and even water heater switches might be experiencing an electrical wiring problem when it doesn’t turn on your devices after being flipped. Another reason can be that your light bulb is completely burnt out, which is most likely to happen if you use an unreliable compact fluorescent lamp. Short circuits may also be the reason why electrical switches are malfunctioning. Do your fuses or circuit breakers trip as soon as you turn on your electrical switches at home? Such problems occur mostly because of short circuits, which usually happens when a hot wire touches wither another hot wire or a neutral wire. Wear-and-tear in the circuit’s electrical wiring because of rodents and old age can also cause such a problem – this is more commonly the cause when you see frays on your wires. 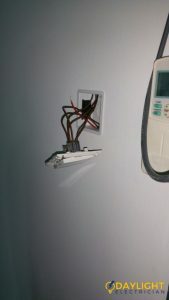 If you can’t identify the issue, call an experienced electrician quickly to get your wall switch fixed immediately. 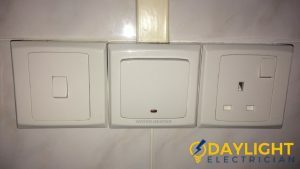 There are several signs indicating faulty electrical switches. One of these signs involve not feeling the “snap” that you usually get when you flip the switch. Some of the other signs are when electrical switches make strange noises such buzzing sounds while operating. The most critical sign is when it starts to produce a spark when switched on. 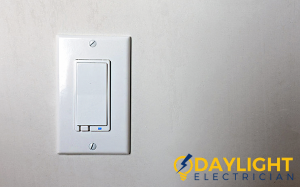 This does not only happen to light switches, but also a circuit breaker switch or electrical outlet switches. 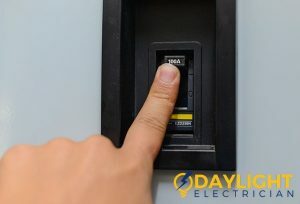 Remember not to delay such problems and immediately opt to replace your circuit breaker switch when such issues arise. 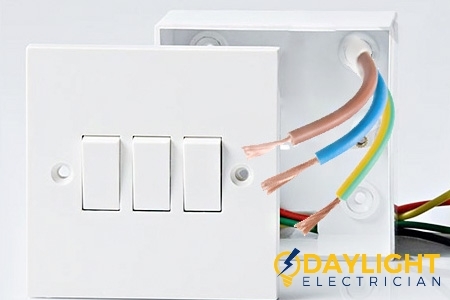 Electrical switches are an important part of every home. Therefore, a quality electrical switch that’s properly installed can help prevent unnecessary burn-outs and electrical issues. For heavy-duty appliances like cookers, washers, and dryers, be sure to ensure that the wall switch installation is done using a high capacity electrical switch capable to manage the high ratings. 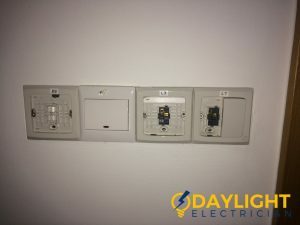 Proper light switch installation could include a dimmer to help control light intensity in rooms like children’s bedrooms, media rooms, and entertainment areas. 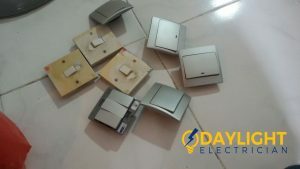 Consider the overall aesthetics of your home when installing electrical switches, there are different styles and colors of switches that will match your home décor and interior design. The most efficient electric switches are placed close enough to the frequently used electric appliances for convenience. 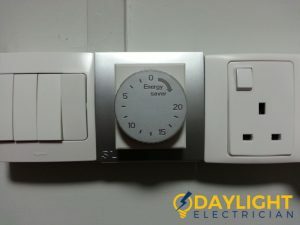 Daylight Electrician Singapore provides reliable electrical services that include the installation and repair of electrical switches in your home such as power switches, light switch installation, power switch installation, water heater switch installations, and more! 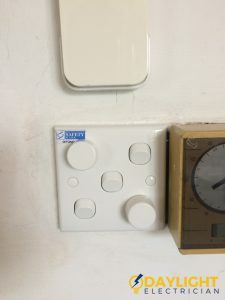 All our installations are carried out by a team of EMA-licensed electricians who have many years of experience to advise you on the best type of electrical switches to purchase and how best to place them. We also provide emergency electrician services to serve you and your electrical needs. 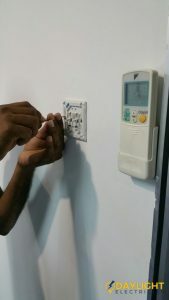 Our electrical switch installation service covers all the bases from purchase to installation to maintenance to ensure that your electrical switches and outlets are professionally installed, safe, and beautifully placed in your home. 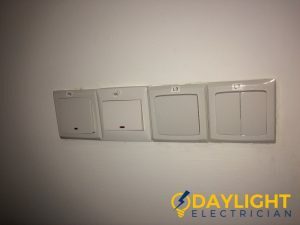 Contact us now by calling us at +65 6653 6261 or emailing us at enquiry@daylightelectrician.com for a no-obligation consultation for electrical switches installation service in Singapore with Daylight Electrician Singapore.